Amazon has a hardware event yesterday where the company announced new Alexa smart speakers with better audio, Echo Input similar to ChromeCast audio and to be plugged into your own speakers, a new revision of Amazon Echo Show smart display, and some completely new Alexa powered products like Echo Wall Clock, Echo Auto connecting to your smartphone and your car’s speakers, and even an Alexa Microwave selling for $59.99. 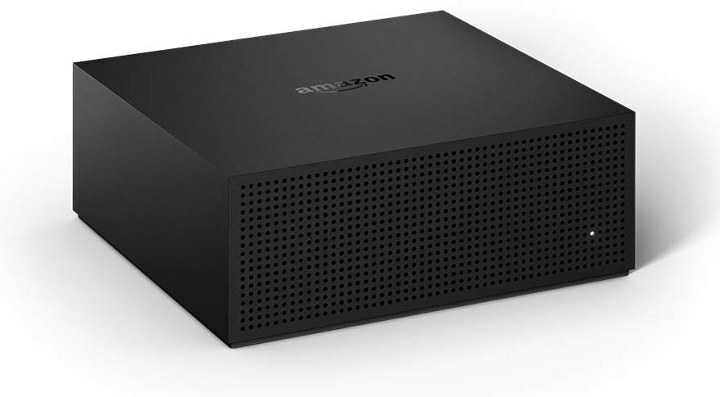 But I’m going to focus in another of their new product in this post: Amazon Fire TV Recast digital video recorder and media streamer with up to four ATSC tuners. Amazon Fire TV Recast will be available in two configurations: 500GB storage with two tuners, or 1TB storage with four tuners. The DVR does not include any video output, so you’ll need either a Fire TV streaming media player, Fire TV Edition television, or Echo Show, or a smartphone running Fire TV mobile app to watch videos from the DVR either live or recorded. The smartphone is required in any case since that’s needed to configure Fire TV Recast the first time. The DVR can be controlled using voice through Alexa endpoints such as Echo Show, or the Alexa Voice Remote. You’ll also need a HD antenna to pick-up free-to-air TV channels. 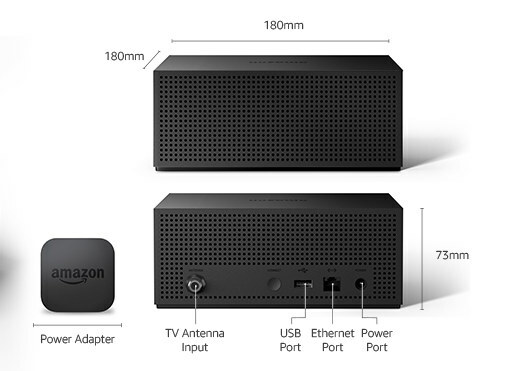 Fire TV Recast will ship with a 50W Power Supply, and Quick Start Guide, and can already be pre-ordered for $229.99 (500GB/2 Tuners) or $279.99 (1TB/ 4 tuners) with shipping expected for December. It will only be available in the US, and it appears the company has no plans to sell it to other countries even where ATSC broadcasting is available. But there are other products like EyeTV Netstream that can do something similar with a Satellite dish minus the recording part apparently. A few years ago, Tivo Mega DVR was also announced with 24TB storage, 6 tuners, but eventually it was never brought to market. Hmm, 50W seems a bit high for an ARM or MIPS system doesn’t it? Without video output, not made sense to buy it.